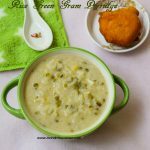 Palm Jaggery Pongal / Karupatti Pongal is a variation from the traditional Sakkarai Pongal. 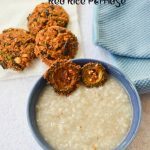 Palm Jaggery Pongal is also a healthy version of pongal. 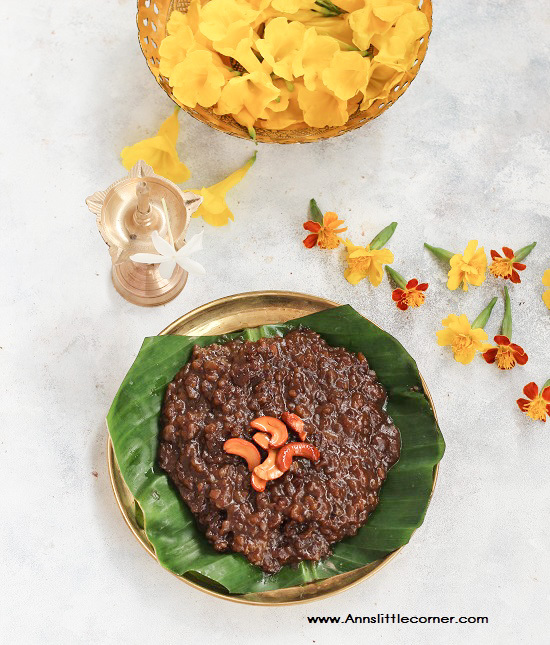 Palm jaggery pongal has a unique taste. 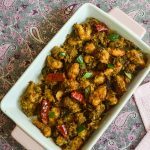 The dry ginger powder add in a nice twist to the pongal. 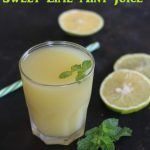 Other Sweet Pongal Recipes Available in this space are Sweet Aval Pongal / Sweet Sooji Pongal, Sweet Wheat Pongal, Kalkandu Pongal / Rock Candy Pongal. 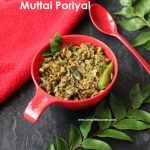 Spice Pongal Recipes are Ven Pongal / Spicy Pongal and Pal Pongal / Milk Pongal. Check Out Karupatti Halwa / Palm Jaggery Halwa too. 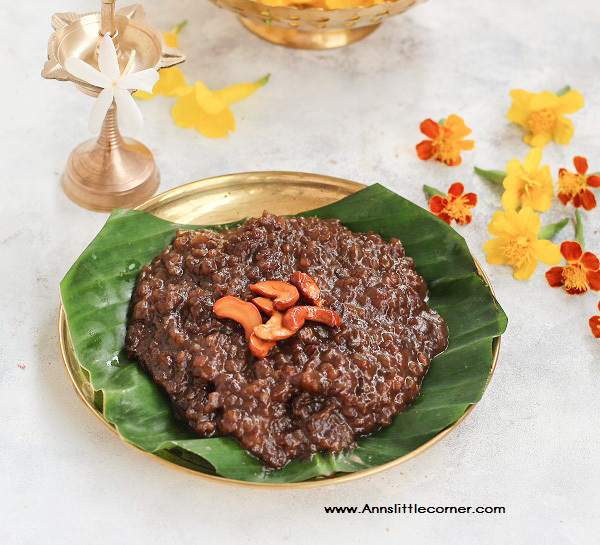 Palm Jaggery Pongal is a variation from the regular sakkarai pongal. Soak Raw rice in water for atleast 2 hours. 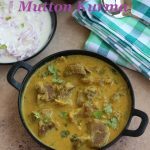 Add in moong dal and rice into a pan and add in water and cook until the rice and dal are cooked mushy. If pressure cooking pressure cook in medium flame for 5 whistles. 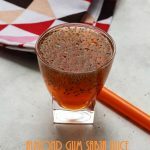 For jaggery syrup add in water, jaggery, dryginger powder and cardamom and heat until the jaggery dissolves. Switch off the flame and drain for any impurities. Add in the jaggery syrup into the rice mixture. Cook for few minutes until the mixture blends well. Heat ghee in a wok and add in cashews. Switch off when the cashews starts darkening. 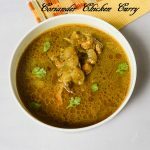 Add this into the pongal and keep stirring and cook for few more minutes. Switch off the flame. 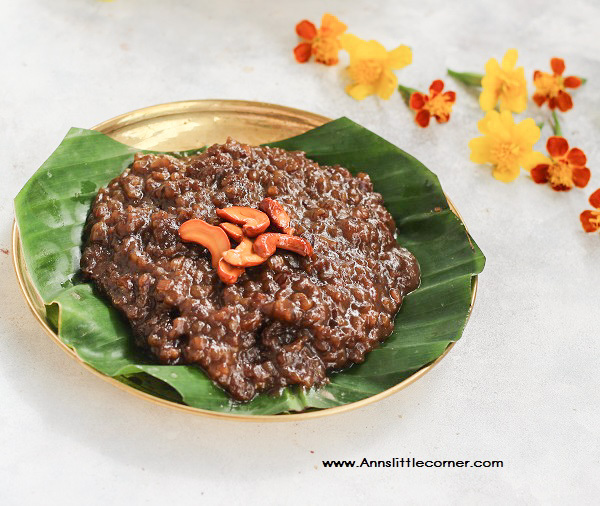 Palm Jaggery Pongal is now ready to serve. 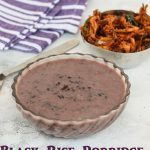 Raw Rice Can also be used for this recipe. If there is no time to soak rice for hours then soak in hot water for 30 minutes. Soaking Rice in water helps to cook the rice soft. Soak Rice for atleast for 2 hours. 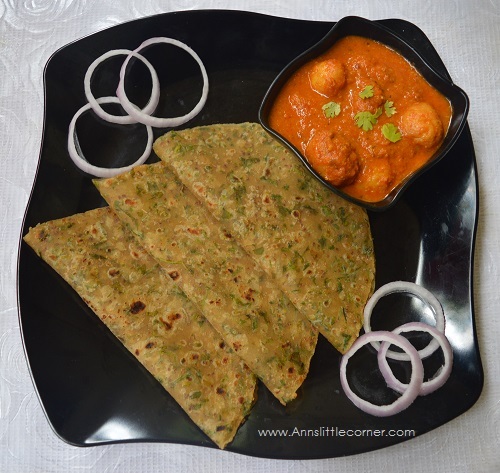 Dry Roast moong dal. Drain Water from the rice and add into dal. Add in Required water. Cook until the rice cooks mushy. If cooking in pressure cooker pressurecook for 5 whistles in medium flame. Powder jaggery. Add in water and Palm Jaggery in a bowl and heat them. Add in Dry ginger powder and Crushed cardamom. Heat until the Jaggery is dissolved completely. Switch off the flame and cool down completely. Drain to remove any excess impurities. Add in the jaggery Syrup into the rice mixture. Give a quick stir. Add in a Generous pinch of salt. Cook for few minutes. Heat ghee in another wok. Add in Cashews. Once they start darkening switch off the flame. Add in the roasted cashews and ghee on top of the pongal. Cook for few more minutes and switch off the flame. 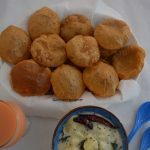 Delicious jaggery ponagal is now ready to serve. 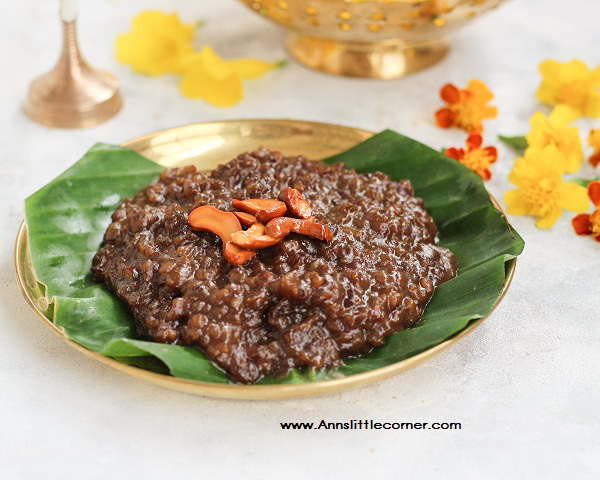 Black Jaggery pongal is a delicious dessert too.